A new age of bitcoin is about to begin, as users around the world will no longer need internet access to spend the cryptocurrency on every day transactions. 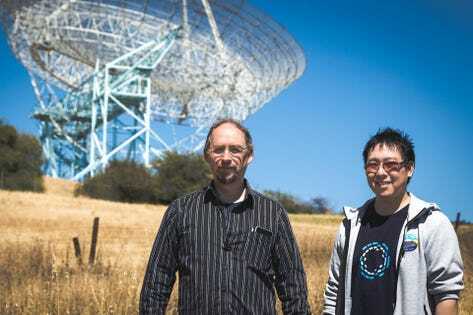 The Blockstream startup that raised $101 million from Khosla Ventures and others is now streaming the entire bitcoin blockchain from five satellites strategically positioned in orbit around Earth to reach all major landmasses. Further, a new application programming interface (API) lets users send encrypted messages to each other from some of the remotest regions on earth and pay for those message in bitcoin using the Lightning Network designed to open up bitcoin to the higher transaction volumes associated with wider retail adoption. As bitcoin, now valued at $59 billion, prepares to kick of its tenth year with struggling prices and an uncertain future, the cryptocurrency dubbed “magic internet money” has broken free from the internet, and perhaps more importantly, internet service providers. Previously, Blockstream had only four satellites broadcasting to North America, South America, Europe, and Africa. With the fifth satellite announced today, Blockstream Satellite will be able to serve the Asia-Pacific region, covering all major landmasses in the world except for Greenland and the Antarctic. Further, the actual data being transmitted by the satellite network has increased to include all bitcoin transactions instead of just the information about the final blocks of transactions that was previously available. In January 2019 the new API will also let users send messages about price and more without the need of the internet. In addition to letting users more affordably send smaller bitcoin payments, the newly integrated Lightning Network enables per-kilobyte micro-transactions, and “onion-routing” technology similar to the Tor browser designed to lets users send messages where the sender, receiver, and content all protected from third-party observation. Back expects the new satellite and API will lead to increased development of smartphone and feature phone applications that link together Blockstream’s GreenAddress bitcoin wallet, its Liquid Network for enabling faster transactions between exchanges, and its Cryptocurrency Data Feed for real-time and historical bitcoin exchange data, developed in partnership with the New York Stock Exchange parent company. Because the entire bitcoin blockchain will be broadcast, even miners will be able to use the satellite connection to help generate new block and recieve bitcoin payments. Among the early users of the bitcoin payments and messaging functionality, Back expects the API will likely be of interest to existing users of mesh networks, that use small antennas like GoTenna to connect mobile phones together without the need of Verizon, AT&T, Comcast and others. In addition to providing a back-up for mesh networks, the new Blockstream Satellite functionality could directly connect these inter-connected internet substitutes in isolated regions around the world. When bitcoin first launched in January 2009 the author of the white paper that described the cryptocurrency’s functionality, Satoshi Nakamoto, cited Back’s work on an early centralized cryptocurrency called Hashcash as part of his inspiration. In that paper Nakamoto described bitcoin as ‘a peer-to-peer electronic cash system,’ but as prices have increased to as high as $19,000, and $3,400 today, the vision of bitcoin as a replacement for cash was largely put on hold. While enterprise adoption of bitcoin and other cryptocurrencies has increasingly taken place in the form of large hedge funds and their surrounding ecosystems building regulatory compliant access to bitcoin investments opportunities for high net-worth investors, others like Blockstream have continued to build out a global payment infrastructure, largely focused on serving the unbanked in developing, or frontier, economies. In addition to Blockstream’s work, startups like AirTM in Mexico are working to help countries in Latin America’s hyper inflated economies and elsewhere around the world store value in bitcoin. Then in April 2018, AirTM partnered with the Zerocoin Electric Coin Company, the makers of privacy-protecting zcash, to make it safer for those in oppressive regimes like Venezuela to anonymously use cryptocurrency. In September 2018, venture-backed BitPesa announced a partnership with SBI Remit to build a payment corridor between Africa and Japan, making it easier to send money between the regions using the bitcoin blockchain. In total, 1.7 billion people around the world don’t have access to sufficient banking, according to a World Bank estimate from April 2018. Perhaps even more relevant to the Blockstream developments though, the non-profit Web Foundation last month published a report showing that less than half the world’s population had internet access, and the rate of growth was actually slowing. While Mow doesn’t think serving the unbanked will likely have an immediate impact on the struggling price of bitcoin, he says growing bitcoin’s price isn’t the primary mission of Blockstream.